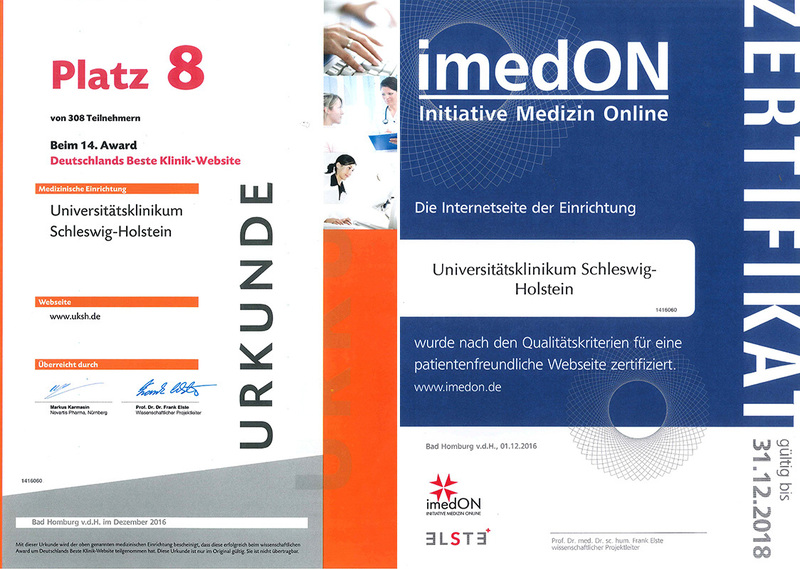 to the University Medical Center Schleswig-Holstein. Welcome to the University Medical Center Schleswig-Holstein, the only maximum care provider in Schleswig-Holstein and the only medical center in Germany with two long-established medical faculties, the Christian Albrechts University in Kiel and the University of Lübeck. Both these medical faculties are known for their top international standards in research and education, as exemplified by the success of the Center of Excellence for Inflammatory Diseases.